A mining company did not discriminate against a deaf job applicant, according to a Minneapolis jury. James Edstrom had sued Hibbing Taconite Co. fir rufusing to hire him to drive trucks or as a heavy equipment operator. The company claimed Edstrom was a safety threat because of his hearing loss. Five deaf patients in Nashville have filed lawsuits against a Hospital and group of doctors, claiming discrimination for not providing sign language interpreters. One of the plantiffs, William Amonett, was discharged by Dr. Edward L. King because the patient asked for an interpreter. The hospital, Summit Medical Center, is owned by the HCA hospital chain and has not responded to the suit. A woman who says a screaming child on a plane left her partially deaf last year has settled her lawsuit with Qantas. Jean Barnard claims the 3-year-old left her in such pain that her ears bled and she had to be taken to the hospital even though no other passengers were harmed. Qantas Airlines denied any responsibility. A young woman suffering from a degenerative hearing problem has a list of sounds she wishes to hear before she goes completely deaf. Watch the video here. A video on How To Help Someone Who's Hard Of Hearing. Motorcyle racer Ashley Fiolek won X Games gold yesterday in Los Angeles. The 19-year-old Floridian took the lead going through the megaramp tunnel on the first lap of the 15 minute ride and never looked back. She made competition history as the first deaf winner of the Moto X Super X Women's Final last year. Fiolek tells about her journey from deafness at birth to becoming a championship rider in the autobiography Kicking Up Dirt. Three of Massachusetts big movie theater companies has agreed to add more closed-captioning. The settlement with the state's attorney general avoids a court battle for Regal Entertainment Group, National Amusements, and AMC. By November, the companies have agreed to put the technology in at least 34 theaters. This includes equipment that projects text and provides narration for the blind. A similar agreement was made in New Jersey during 2004. About 400 theaters are equip ed with this technology. Cochlear Americas says it will replace a cochlear implant free of charge that was stolen from 12-year-old Daniele Marrufo at a recreation center in Denver. The company plans to send two of the devices, valued at $10,000 apiece. The left one was stolen and the right one was broken and needed replacing. Daniele had left his implant inside one of his shoes while swimming atthe Link Recreation Center. Deaf Ultimate Fighter Matt Hamill will take on former mentor Tito “The Huntington Beach Bad Boy” Ortiz on October 23. Hamill has a four win streak and a record of 8-2 since signing with the UFC. His last fight saw him take a decision win over Keith "The Dean of Mean" Jardine, after which Jardine was cut from the UFC. Hamill has strong wrestling credintials, holding a gold medal from the 2001 Deaflympics in freestyle wrestling and a silver medal from the same competition in Greco-Roman wrestling. Hamill hold six out of his nine wins by knockout. There is a video report from KGBT-TV on the failure of doctors to provide sign interpreters in Harlingen, Texas is here. There is text and closed captioning as well. A Gallaudet professor is profiled in the summer edition of the NCAA's Champion magazine. Kitty’ Baldridge's profile is titled “The consummate teammate." Baldridge is the Director of General Studies Program and Associate Professor of Physical Education at Gallaudet. She coached women’s basketball at Gallaudet for 29 years. Read more here. The American Academy of Pediatrics (AAP) says children considered for cochlear implants should have up-to-date vaccinations at least 2 weeks before surgery. The medical association points to the increased risk for infections from the surgery, especially otitis media and meningitis. After the device is implanted, the AAP says children should be monitored carefully and treated promptly at the first sign of infection. There are an estimated 1 million Americans who are potential candidates for cochlear implants. The FDA has set a one year minimum age for receptients, even though devices have been successfully placed in younger infants. Details of the new policy recommendation are in the August issue of Pediatrics. The House-passed version of the 21st Century Communications and Video Accessibility Act has a provision that would give the FCC up to $10 million a year for its Telecommunications Relay Fund. The money would go toward specialized equipment that low-income deaf-blind Americans need to access the Internet. The bill's focus is ensuring closed-captioning for video on the Internet. The measure would establish an FCC advisory committee to examine closed captioning, video description; and access to emergency information, programming guides, menus and user interfaces. It will require most video devices to include the capacity for audio descriptions of video content and for closed captioning of audio content. Consumer-generated content would be exempted from the law while government-made video is already covered by a previous presidential order. The bill now goes to the Senate for consideration. But while it was a historic milestone in the journey to equality, it wasn’t the end. here was, and is, more to do. We’re expanding broadband Internet access to Americans who are deaf and hard of hearing. And to promote equal rights across the globe, the United States of America joined 140 other nations in signing the U.N. Convention on the Rights of Persons with Disabilities -- the first new human rights convention of the 21st century. The cochlear implant of a 12-year-old boy was stolen from the Link Recreation Center in Denver. Daniele Marrufo left his implant inside one of his shoes while swimming. The device is worth nearly $10,000. The thief may have thought it was a Bluetooth device. The boy's parents are offering a $100 reward for the cochlear implant, made by Cochlear America. The House has passeed a bill to make the Internet and mobile phones more accessible. The 21st Century Communications and Video Accessibility Act requires captioning of online video. The vote was 348 to 23. A similar bill is working its way through the Senate. A deaf man in Brownsville has filed a lawsuit against a Texas state agency. Sergio Ayala says the Texas Health and Human Services Commission for failing to provide him with interpreters during his periodic food stamp eligibility interviews. The commission had taken away those benefits and Ayala says his family had to go hungry. Officials at the agency had no immediate comment on the suit. He is also suing two Rio Grande Valley doctors. Ayala says he was told during a visit that an interpreter was coming but waited for hours at the doctor's offices and no one arrived. He eventually returned with a friend who interpreted for him. A space station astronaut has given the first sign language address from space. Tracy Caldwell Dyson recorded a six-minute video for deaf children from the International Space Station. She spoke of about life as an astronaut. This is the first time ASL has been used on the space station, according to NASA. Dyson says she was on the track team with a deaf college student who taught her to sign. Watch her video from space below. The first World Congress of the Deaf was held in 1951. It later became the World Federation of the Deaf (WFD) and now has about 130 member countries representing 70 million deaf people internationally. Marlee Matlin is accused of acting like a "diva" at the World Deaf Expo this past week by a local paper. The Las Vegas Review-Journal says Matlin refused to have her photo taken with Bonita Leek who is with Miss Deaf International. Leek is quoted as saying Matlin "doesn't have the greatest reputation" in the deaf community. Later, Matlin tweeted, "Just had lovely talk with the CEO of Miss Deaf International. glad we cleared the air. And thanks to their hard working staff." Read the story here and see the tweet here. A new DVD coming out tomorrow explores the origins of umpires’ gestures in baseball. The documentary is titled Signs of the Times and focuses on deaf outfielder Dummy Hoy and umpire Bill Klem. Klem's plaque in the National Baseball Hall of Fame reads, “Credited with introducing arm signals indicating strikes and fair or foul balls.” The film's director says origins of baseball signs are unclear and says it was Klem's own testimony late in life that got him associated with it. Hoy's part is also murky. He apparently asked his minor league third-base coach to use hand signals to relay the umpire’s calls. That's when his hitting improved and soon he was on his way to the major leagues. Deaf advocates say umpires simply copied the idea and this is obvious when you compare baseball signs to ASL. Yet there are few newspaper articles about Hoy using signs during his career and the practice was not widely used until after Hoy retired from the game. The Justice Department is making 4 proposals related to ADA law. The new requirements would include requiring movie theaters to show at least half of its films with closed captions and enhanced 911 capabilities. The Department set a six-month comment period and plans to hold public hearings on the subject. ADA is a success. That's the finding of a online survey of disability leaders. The Americans with Disabilities Act of 1990 has fulfilled much of its promise, the respondents said, but the findings also uncovered new challenges. A University of Texas professor led the research covering 870 participants from more than 400 communities in all 50 states. More than 90% of survey respondents believe that the quality of life for people with disabilities in communities across the US but they also pointed out that there are opportunities to be realized and challenges to be overcome. Most of the group said the ADA legislation has had more influence on their lives than any other social, cultural or legislative change in the last 20 years. Southern New Hampshire Medical Center will make changes to settle a discrimination lawsuit. Kenton Hermans says the New Hampshire hospital failed to provide an interpreter two years ago when he was a patient. Hospital workers tried to get a friend of his to interpret so they would not have to call a qualified sign language interpreter. The medical center has agreed to provide training on ADA law for its employees and pay Hermans $5000. The hospital did not admit wrongdoing in settling the case. There are major changes coming to George Washington's home to comply with ADA law. A deaf visitor had complained to the Justice Department about the lack of services for those with hearing or vision loss at the residence located west of the Potomac River in Virginia. Specfically, the complaint mentioned that films shown at Mount Vernon were not closed captioned. The group that maintains the home have agreed to make $400,000 in alterations to bring the national landmark into full compliance with the Americans with Disabilities Act. Among the changes which should be completed within a year: all centerpiece films in the main theaters will include closed captioning and ASL tours will be offered to visitors. More than a million people come to Mount Vernon each year. A major survey of the impact of ADA law will be released today in Washington. It was put together by AmeriGroup's Jim Carlson and Dr. Lex Frieden from the University of Texas at Houston. A bus company in Melrose Park, Illinois is accused of failing to take a group of 55 deaf students from the Illinois Service Resource Center (along with their famiies) on a trip to see the Illinois School for the Deaf. In a lawsuit filed against Sleepless in the City Bus Service, the families accuss the company of taking their money in advance - $1,750 - and then never showing up. The group waited for 4 hours and not being able to get in touch with the Bus Service, called another company which cost $3,100. Sleepless in the City has repeatedly refused to refund the money. A deaf woman raped in the garage of a Miami Metrorail station this morning. She was walking near the Martin Luther King Metrorail station at around 2am. Security cameras in the area may have caught the attack. This month is the 30th Anniversary of the first pediatric cochlear implant. The FDA approved the House Ear Institute in Los Angeles to conduct a clinical trial in July 1980 for 3 patients under the age of 18. William House developed the single-channel device in the 1960s and it had been successfully implanted in adults. The same device was then used in preschool-aged child the following year leading to national trials. In the late 1980’s, The Institute became the first US center to give a multi-channel device to a young child. workshops, new product exhibitions, entertainment and more. Admission is free through tomorrow at the Sands Expo and Convention Center. University researchers are getting more than $3 million in federal money to test modifications in cochlear implants. The grant will go toward examining the fitting approach used for cochlear implants. The funding comes from the National Institutes of Health's National Institute on Deafness and Other Communication Disorders and will involve faculty at Arizona State University and University of Texas. The researchers will use feedback from patient trials to determine the usefulness of their ability to adjust the device. IWRelay has released a mobile video relay app for Deaf and hard of hearing iPhone 4users. IWRelay VRS connects Deaf mobile phone users with video relay interpreters through the phone's FaceTime feature. Check here for more information. A look at the rugby team for the Model Secondary School for the Deaf in the CBS video below. Captioned-radio will be demonstrated at the White House as part of the celebration of the 20th anniversary of the Americans with Disabilities Act. The new technology was developed by National Public Radio. The NPR Labs team will show government officials its prototype car dashboard featuring a captioned-radio display. The driver’s view shows GPS maps while the passenger’s view shows real-time text of audio broadcast over the radio. Communication Service for the Deaf is getting a $15 million in federal money to promote the use of broadband among the deaf and hard-of-hearing. The money comes from the US National Telecommunications and Information Administration as part of the American Recovery and Reinvestment Act of 2009. Communication Service for the Deaf is a nonprofit based in South Dakota. Among other ways of getting the word out, the group will create an online support center through a sign language proficient staff in support of video, real-time text-based communications, and other specialized broadband technologies. The project is expected to create 60 jobs in South Dakota. The neuroscientist whose work on how bats navigate led to implanted devices has died. Robert Galambos was 96 years old. He died of heart failure at his California home last month. His groundbreaking research into bat navigation revealed the way nerves get messages about sound to the brain. The findings led to the development of cochlear implants for humans. WDBJ-TV in Roanoke disputes Sorenson's claim that FCC changes in video relay would have a "dire impact" on the deaf community. The video report is below and the text of the report is here. It appears more likely that Congress will create new closed captioning rules related to online video. Before the August recess lawmakers are expected to pass a measure that would revise and expand what must be done to make content or equipment accessible for persons with disabilities. The Senate bill is S3304 and the House bill is HR3101. Both are through the "markup" process. There are differences in the bills that will have to be worked out. The Senate proposal calls for Internet video to use TV-type captioning while the House legislation would require captioning using Internet protocol. Despite the differences, both Chambers are likely to pass a final compromise before adjourning for the August recess - partly to commemorate the 20th anniversary of ADA on July 26. A Baltimore woman was hit light rail train Friday night. The 40-year-old deaf woman is expected to survive. She walked in front of the northbound train at Pratt and Howard streets near Camden Yards, but didn't hear the train because her back was toward it. 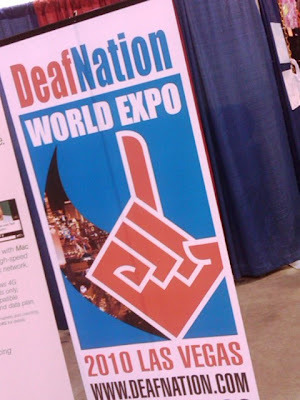 The 2010 DeafNation World Expo starts today in Los Vegas. Admission is free to all events. Find out more here. Keynote speakers include Bernard Bragg International Deaf Entertainer, Donalda Ammons International Deaf Sports Leader, and Mark Wheatley EU of the Deaf. Marlee Matlin will make a special appearance on Wednesday. Ventura County, California will pay a woman $45,000 for not hiring her because she was deaf. A judge approved the deal Friday. Lee Ann Unchangco had been a social worker in Los Angeles for some 8 years but when she applied for the same position in Ventura County during 2005, Unchangco was turned away despite receiving high marks in her interview. During a second round of interviews, it was made clear to her that she would not be hired because she is deaf – despite the fact she had a decade of experience in the same position that earned her high praise in Los Angeles County. The EEOC investigation concluded the county admitted the only reason Unchangco wasn't hired was because she is deaf. State officials have suspended the director of the North Carolina School for the Deaf in Morganton. There are reports of physical conflicts between staffers and students. Disability Rights NC says girls living in the residential school say a male dorm director has spyed on them at inappropriate times. Director Janet McDaniel is accused of not reporting the problems or taking action to rectify the situation. The advocacy group says she tried to cover up the problems. McDaniel makes more than $97,000 in salary to oversee the 97 students at the facility and will continue to be paid during an investigation. State legilators have already approved moving control of the school from North Carolina's health department to the Department of Public Instruction. DeafNation Expo is in Las Vegas from tomorrow through the 23rd. Congress is a step closer to passing a new law requiring captioning on Internet video and smart phones to work with hearing aids. The Senate Commerce Committee has put its stamp of approval on the bill 3304, the Equal Access to the 21st Century Communications Act. While the committee may still make changes, the sponsors of the measure are prepping for a full Senate vote. Opposing the bill is the Consumer Electronics Association which says it would put an undue burden on media makers. Video relay service provider ZVRS says it will begin using Apple's FaceTime app. The iPhone 4's face-to-face chat capability is already popular among deaf users. However, it's use is limited to phones operating over Wi-Fi networks. Dallas Police police insist the deaf man they locked away for assaulting a 5-year old girl is guilty - even though fingerprint evidence found at the scene of the crime matches a man wanted in nearly a dozen similar crimes. Stephen Brodie is now serving a 10 year sentence for the sexual assault. But his supposed confession came during 18 hours of questioning in which he also admited to committing crimes investigators made-up. Brodie showed no knowledge of the crime scene. Police failed to use an interpreter for nearly half of their interrogations and did not find any physical evidence linking Brodie to the crime. Brodie has maintained his innocence following the interviews and says he simply gave up after hours of badgering from police officers. The DA's office is now formally investigating the possibility. Brodie contracted spinal meningitis at an early age which left him deaf. University of Michigan researchers say fruit flies have helped them identify a gene mutation that causes a rare form of hearing loss called Auditory Neuropathy. This mutation is called DIAPH3 and appears to cause an over production of a specific protein called diaphanous protein leading to hearing loss. Details are in the Proceedings of the National Academy of Sciences or you can read more about the research here. The student newspapaer at Kansas State University in Manhattan, Kansas offers a look at the cochlear implant controversy here. Here is an ASL video about volunteers at the 50th Biennial NAD Conference in Philadelphia. A group of 14 riders will make a charity motorcycle ride to Alaska starting Saturday. The 11,000-mile round-trip the World’s Longest Group Motorcycle Benefit Run. The ride has been made for 9 years in order to raise funds for the SKI-HI Institute which is part of Utah State University and helps children who are deaf and those who are blind. The institute partners with the Florida School for the Deaf and Blind in St. Augustine. In a review of a new BBC thriller The Silence, a Guardian Newspaper reviewer says the series has a "storyline that leaves the viewer wanting more." Deaf actor Genevieve Barr' plays a woman who has a cochlear implant and is trying to come to terms with her new hearing. She has to "spend her days at hearing-therapy sessions, tediously reading out childish sentences and being berated for using sign language. The Silence becomes a clever portrayal of the realities of adapting to a new cochlear implant interwoven into a classic murder drama." Read more here. Cochlear Ltd is setting up shop in India. The Austrialian company will have offices in New Delhi, Mumbai and Bangalore. Cochlear has been selling implants in the Indian market for some 15 years and plans to sink about $15 million into promoting its products in the country. It dominates the cochlear implant market worldwide and has hired more than 50 people in India. Here is an ASL video with more about the leadership of the NAD from the 50th Biennial NAD Conference in Philadelphia. The NAD has a new CEO. It's Howard Rosenblum. He served as an attorney for Chicago's Equip for Equality. He succeeds Nancy Bloch, who took office in 1992 as the first female CEO in NAD’s history and completes her term in March of next year. Here's more in an ASL video from NAD. Here's the presentation he gave at the 50th Biennial NAD Conference in Philadelphia. Buffalo Sabres' prospect Gregg Sutch is deaf. 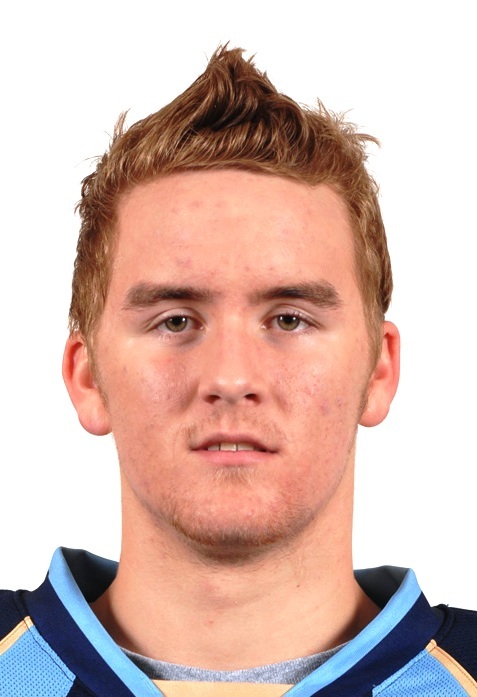 Right now, he's attending the hockey team's development camp at Niagara University. The Toronto-area native was the Sabres' 5th-round pick in last month's NHL draft. Sutch reads lips and uses hearing aids, but not sign language. Last season, he played just 43 junior hockey games. An ankle sprain kept the 6-foot-2, 193-pounder away from the ice for nearly two months. He also suffered through a staph infection and separated shoulder. Sutch says he's now healthy and ready to show what he can do. A deaf man died in Paterson, New Jersey because his apartment building air conditioning system failed. 76-year-old Yaztan Oktay had a heart condition and passed away at the Murray M. Bisgaier Residence when temperatures inside the 21-story building soared into the mid-90s Thursday. Other residents were evacuated from the building after four days of not having any air conditioning. A Southern California newspaper offers video about a gathering of deaf Jehovah Witnesses here. The NAD is honoring departing CEO Nancy Bloch by establishing a scholorship in her name help help interns at the organization. Bloch has served the National Association of the Deaf for the past 18 years. The Nancy J. Bloch Leadership & Advocacy Scholarship will provide a financial stipend for travel, housing, and other expences. Preference will be given to deaf and hard of hearing students who wish to pursue law, policy, non-profit management or related advocacy degrees. BBC officials were so impressed with a new thriller called The Silence, they decided to give it during a primetime broadcast slot. It will air this Monday. Filmed on location in Dublin, the drama was lead by Dearbhla Walsh, an Emmy award winning Irish director. Deaf actress Genevieve Barr plays the lead role of a young woman who has recently been fitted with a cochlear implant. A graduate of Edinburgh University, she was teaching in an inner London secondary school, giving up her career to take on the role. Barr had to learn sign for some scenes with deaf actors who do. Adding to the complications, the interpreter on set came from Britain and used BSL rather than Irish sign. In the film, the girl witnesses the murder of a policewoman. The Silence attempts to show what cochlear implant users hear and Walsh made that experience central to the story. The architect responsible for several buildings at Gallaudet University has died at his home in Great Falls, Virginia. James Freehof was 81 years old and suffered from non-Hodgkin's lymphoma. He designed the Model Secondary School for the Deaf at Gallaudet University. The complex of academic, athletic and residential buildings is designed "so that kids are able to move around and receive individualized instruction," he told The Washington Post when the school complex opened. "We've compensated for hearing loss by giving students things which are very tactile or visual." Here is a video from day 3 of the 50TH Biennial Conference in Philadelphia. A deaf marathon runner plans to raise money for charity with a 40 mile run a week from Sunday (July 18) when he turns 40. James Yevich will give the money raised to a friend who has been fighting liver cancer for the past four years, a friend battling lymphoma for the past two years, the National Fallen Firefighters Foundation; and the 2013 Deaf Olympics. Yevich plans to run through parts of Conneticut starting from Fairfield (his home town) and ending at his current residence in Stratford. The Deaf Canada Conference starts Monday in Vancouver. There's more information here. ZVRS video relay software is coming to the iPhone 4. ZVRS plans to release the software, dubbed iZ, on July 26th to coincide with the 20th anniversary of the Americans with Disabilities Act. The iPhone's FaceTime is only available over Wi-Fi so there is a question as to whether the software will work over a regular cellular data connection. Here's an Apple commercial demonstrating what FaceTime is like. St. Francis County Sheriff's department arrested 42-year old James Howard. He'll be charged with beating 75-year old Mary Parker in her home as well as robbery. WHBQ-TV in Memphis offers this video report on the attack on an elderly woman. An eldery deaf woman may not survive after she was attacked in her Widener, Arkansas home. 75-year old Mary Parker was beaten severely in front of her deaf sister. The attackers pushed an entertainment center on the elderly woman. Police are searching for the attackers who took some valuables from Parker's home. Atlanta researchers say they've come up with a better version of the cochlear implant. Scientists at the Medical College of Georgia want to add more electrodes to conventional cochlear implants and use thinner, more flexible wire. Dr. Brian McKinnon says tests of the device show the sound reception could be several times better than implants already on the market. The findings were presented in Stockholm at the 11th International Conference on Cochlear Implants and Other Auditory Implantable Technology. HDMI cables are necessary for getting the best picture and sound on an HDTV, but they do not transmit closed-caption data. The way to get around this problem is to enable closed-captioning from your cable or satellite box or DVR. That way, the box decodes the signal and sends it along in a format the TV can recognize. Some set-top boxes have no switch for closed captions. For these sets, you must set the option through the main setup menu for the box. T-Mobile's Sidekick is being temporarily discontinued. The Sidekick has been particularly popular with the deaf community since a voice plan was not required for a contract or pre-paid agreement. There are rumors that T-Mobile plans to continue the line after incorporating Google's Android operating system into their devices and include a front facing camera. A New York City cleaning company finds success through hiring deaf workers with help from a CODA. A profile of Dirty2Purdy is here. Here is a video report in ASL from the 50th Biennial Convention of NAD. The 50th Biennial NAD Conference opens today in Philadelphia. There are three finalists under consideration for the position as CEO, after Charity Reedy Hines removed herself from consideration. She said her husband's health issues will have to be her priority for now. President Calvin Coolidge turned down a $2 million retirement package offered by friends when he left the White House, insisting the money be given to the Clark School for the Deaf. Coolidge met his wife, Grace Anna Goodhue, while she taught at the school in 1904. Grace taught deaf children for three years and developed a lifelong interest in their education. Coolidge served as governor of Massachusetts before being tapped as the vice presidential running mate of Republican Warren Harding in 1920. Three years later, Harding died of a heart attack and Coolidge took office of President. He was elected to a full term in 1924, but chose not to seek re-election to a second full term. It was at that time that he was offered the retirement package. When you see a blue sign of a human ear, that's a cue to hearing aid users that they can flip a switch hear specially broadcast announcements sent directly to their device. NPR talks with a man who has led an effort to get these hearing loops installed everywhere. Read about it here. 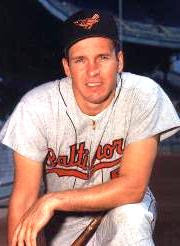 Baseball legend Brooks Robinson grew up only blocks away from the School for the Deaf in Little Rock, Arkansas. The Baltimore Orioles third baseman used to play with the deaf kids and as a major leaguer would sign to deaf fans seeking autographs. A bill in Congress designed to update disability law so it covers the latest technologies moved from the House Communications Subcommittee to the full committee. The bill will require services like as closed captioning be provided for new products, including online video. It's sponsored by Massachusetts democrat Edward Markey. The Consumer Electronics Association is asking for changes to make it less broad, saying H.R. 3101, the Twenty-First Century Communications and Video Accessibility Act of 2010, puts too much of a burden on video distributors. Pennsylvania lawmakers are showing support for orals schools focused on mainstreaming children. The state House Education Committee has passed a bill to give The Clarke School Approved Private School status which would provide it with state subsidies. The Pennsylvania Department of Education had turned them down. The House may take up the bill in the fall. A representative of the school says students should be kept out of "expensive, specialized deaf schools." The only other private school recieving state money in Pennsylvania focused on oral deaf education is in Pittsburgh. The Cincinnati Reds plan the team's inaugural Dummy Hoy Night on Monday, August 9th against the St. Louis Cardinals. The festivities at Great American Ball Park will honor the Reds Hall of Famer to "celebrate the rich culture shared by individuals who are Deaf." The Star Spangled Banner will be signed and deeply discounted tickets will be available for those in the Deaf Community. The city's Hearing Speech & Deaf Center is sponsoring the events. The organization has reserved a block of seats where jumbotron is in perfect line of sight for those who rely on written rather than spoken messages. For ticket information go to the Center's website or the Reds. Hoy was the first deaf Major League Baseball player, pioneering the hand signals still used today in baseball games.